Raspberry Pi, a tiny, ultra cheap, Linux based PC went on sale Monday in the US and has already sold out. The A version of the computer, which only costs $25 has 256 MB of RAM, a single USB 2.0 socket, an HDMI, SD card and 3.5 audio sockets and is only available for sale through Allied Electronics sold out in just one day. The B version of the computer which retails for $35 is also out of stock and boasts 512 of RAM, two USB 2.0 sockets and an Ethernet port. Both the A and B versions come equipped with an ARM processor and are extremely small- approximately the size of a credit card, making them suitable for a variety of creative, educational and practical applications. 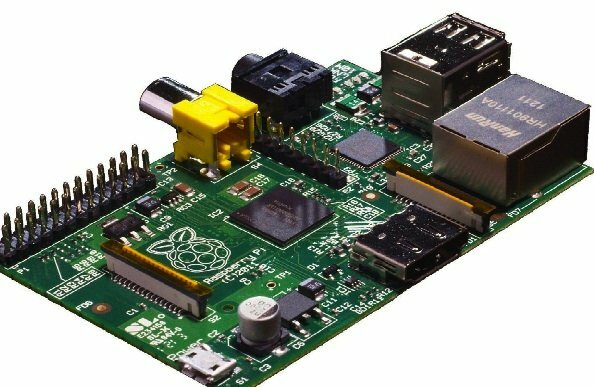 Raspberry Pi launched in Europe in February last year and due to high demand it was launched in Asia last week and the US this week. It was designed to interest school children in computer technology and programming and has already made over one million sales. “We burned through the first 20,000 units quite quickly, and are building a few thousand a week at the moment, but we don’t have good visibility to sell through yet. I’d expect us to dip in and out of availability for the next month or so until we reach a steady state,” said Raspberry Pi founder, Eben Upton. The Raspberry Pi has also been shortlisted by the London Design Museum’s “Designs of the Year’ awards, with judges commenting on its affordability, power and accessibility to children.